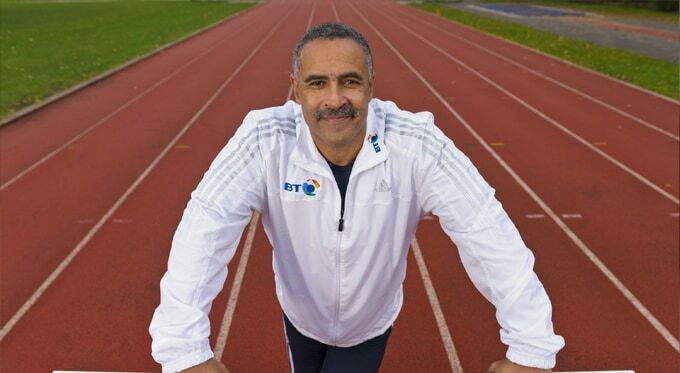 When asked to reel off a list of Great Britain’s greatest Olympians most people would have the decathlete Daley Thompson CBE at the top of their lists. The first ever athlete to hold the Olympic, world, continental and Commonwealth Games decathlon titles at the same time he is best known for his appearances at the 1980 and 1984 games in Moscow and Los Angeles respectively. From an early age, it was clear that athletics was his calling and after initially wanting to be a sprinter, his coach advised him to make the move into decathlon. Flourishing in the discipline he won a whole host of amateur titles before opening the 1980 Olympic season with a record breaking 8,648 points in Austria. Now, Daley can often be found on stage working as a fascinating Olympic speaker where he regularly talks about his highly successful career. One topic that he frequently touches upon is his world-famous rivalry with German Jurgen Hingsen. Records switched between the two during the 1980s but when it came to major events Daley had the upper hand. Remaining undefeated in all competitions for nine years between 1979 and 1987 he is able to discuss how he managed to remain at the peak of a highly competitive sport for so long. In 2012 when the Olympics came to London he was named as one of the games ambassadors and during the bidding process he highlighted the benefits hosting the games would have on future generations by for education and sports in schools. Five years on he can look back on a wonderful festival of sport which was showcased that summer and talk about how the sporting landscape in this country now looks. His naturally humorous and likeable personality has saw him become immensely popular with the general public featuring on a variety of television programmes. During his Olympic speaking engagements, he is always immensely popular and is available to book with Champions Olympic Speakers agency. Contact us by calling +44 1509 85 29 27 or fill out our online form.